Keeping your remote team happy, motivated, and productive takes an ongoing commitment to communication and inclusiveness. But engaging people in far-flung locales and isolated time zones? That's a whole other can of worms. In their study on work loneliness and employee performance, Hakan Ozcelik and Sigal Barsade found people aren't as committed to a company when they feel like they don't belong. No surprise there. Coworkers start to pick up on that lack of commitment, though, and begin to devalue their lonely colleagues, which creates a negative feedback loop of further estrangement and lower productivity. In other words, this isn't an individual problem--it's an organizational problem, and it's up to leadership to nip it in the bud. But how do you keep your engineer in Hong Kong from feeling like a second-class citizen, or your lone support rep in Barcelona from spending her downtime searching for a new job? Here are the best ways we at Help Scout have found to help our isolated coworkers feel like connected and integral members of the team. People working in time zones far apart from the majority of your company can often feel "late to the party." New arrival? Recent feature launch? They might miss the live celebration. They also don't have their colleague's expertise at their fingertips--they have to either solve problems on their own or wait for help. To combat these concerns, ditch any needless expectations of immediacy and embrace asynchronicity. At Help Scout, the Java team stopped holding daily standup meetings that required everyone's presence--now they use a Slack channel to share their status at whichever time works for them. Similarly, they eschew the pair programming typical of physical offices in favor of pull requests in GitHub, an asynchronous model that allows participants to view, comment on, and improve new code whenever they're available. Help Scout engineers Michal Vrtiak and Jacob Wallace collaborate on the same project, even though Michal is in Prague and Jacob is in Dallas. When Jacob starts his day, he knows Michal has reviewed his evening's work and analyzed any problems. "I, on the other hand, know that even if I screw up at 7 p.m.," Michal says, "Jacob can still save the day and I don't need to be changing my evening plans." Thoughtful onboarding along with special allowances for international folks can go a long way. Every newbie at Help Scout is assigned a "work best friend"--a veteran who can answer their questions and help make them feel welcome. We take it a step further for new international hires, pairing them with someone closer to their time zone. That way, they won't have to wait when they have questions about, say, which Slack channel is most appropriate for telling bad dad jokes (#offtopic, if you must know). International teammates are also given the option to arrive early and recover from jet lag whenever we get the whole gang together. Since I currently live in Costa Rica, this is a biggie for me: time zone-wise I'm only an hour apart from my Boston comrades, but it's not ideal to spend the weekday before a meetup sitting on planes and waiting in customs lines. Well ahead of the next retreat, a People Ops team member emails all international team members, inviting us to fly in a few days earlier over the weekend and offering to book us a hotel. It's a thoughtful gesture that helps ensure we're all rested and at our best during those special occasions. When your international teammates aren't dealing with the same volume as those who share time zones with the bulk of your customers, capitalize on their downtime (and relative lack of work distractions) by assigning them the meaningful projects others might not have time for. Perhaps they can coordinate the next team get-together or send handwritten thank-you cards to customers. Kelly Herring, Help Scout's Australia-based support champion, knows this well. While her colleagues in the U.S. focus almost exclusively on support, Kelly uses extra time to help with our trial outreach efforts, following up with new leads to offer demos or calls to make sure trials are going well. These special projects and small wins drive real progress--which, according to Teresa Amiable and Steven Kramer in The Progress Principle, is the best way to motivate employees: "The secret to amazing performance is empowering talented people to succeed at meaningful work." To be honest, we're still figuring this one out. Some companies, Help Scout included, offer to reimburse international folks (set up as contractors) for equivalent benefits--the challenge is that contractors are taxed on those reimbursements, and the only way around that is to set up our business as a legal entity in every country where our workers live. It's a tricky one, but our goal is to ultimately treat everyone as fairly as we can. Other companies pay contractors a little more and leave it up to them to figure it out. 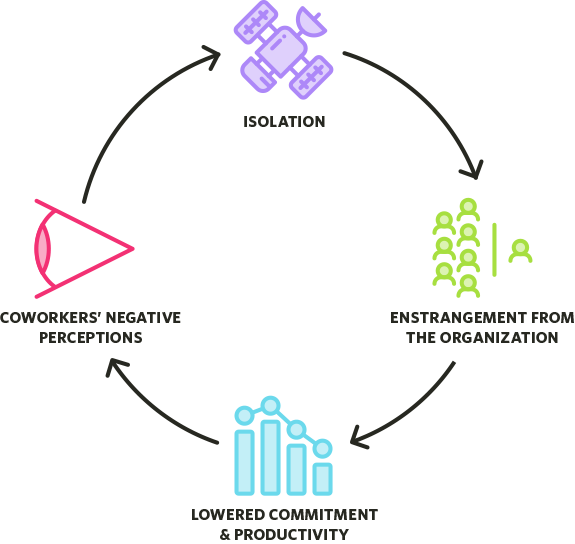 The ever-transparent Buffer has shared the financial setup of teammates around the world, including how they're set up as remote workers, how much they pay in taxes, and where their money goes. Depending on your company's size, it may be worth looking into a global benefits management program, such as Darwin or Mercer. Don't make people choose between missing important meetings or logging in at ungodly hours. Vary meeting times so people in other time zones have the opportunity to attend during their work hours every once in awhile, and record meetings (using a tool like Zoom) for those who can't be there. Help Scout's support team holds weekly standup meetings, which they alternate to give team members in Australia and Europe equal opportunity to attend. One week, Amanda Fong joins the meeting from Paris; the following week, Kelly joins from Melbourne, and so on. "That's been really awesome, just so I can get some face time with everyone," Kelly says. When your team has an important but non-urgent decision to make, don't exclude the people who aren't on the clock. "Say you have five people in three time zones and as a team you want to make a decision about something important," Michal says. "Let everyone vote and only make that particular decision after everyone had a chance to cast their votes." We vote on Trello cards or react with "thumbs up" / "thumbs down" pinned items in Slack, but there are countless other ways to ensure everyone has a voice. Those of us who share more work hours in common can make an effort to connect with those deprived of team-time. "People will randomly ping me during their late nights, and we'll have a little catch up, and that means a lot to me," Kelly says. 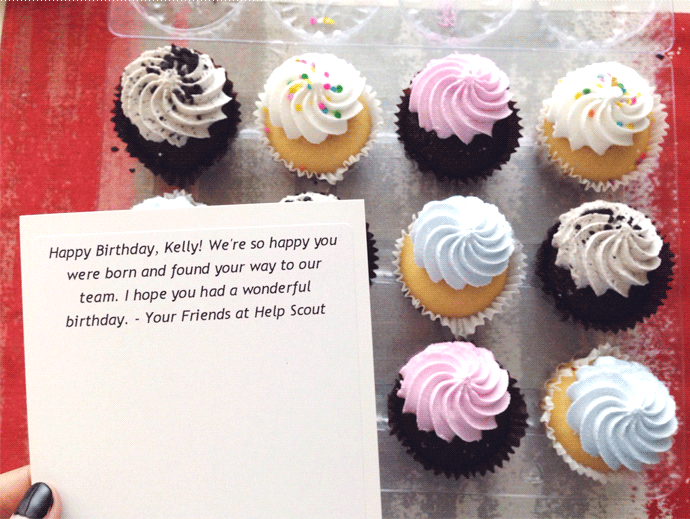 "For my birthday, I was sent cupcakes and even though I was thousands of miles away, it made me feel included and special." More formally, everyone at Help Scout pairs up weekly for Friday Fika. It helps connect everyone in our remote company, but it's especially useful for getting to know the people with whom we don't share many work hours. To a certain extent, extra-remote employees need to take it upon themselves to sustain motivation in relative solitude. If the calendar allows, they might consider an atypical schedule--working for a bit in the daytime, for example, then taking a break and logging back on after dinner. It's not for everyone, of course; neither is remote work. Some people have a hard enough time working from home in the same town as their company's headquarters. And that's okay. You can screen for remote-ready aptitudes--such as a preference for deep, distraction-free work--during the hiring process. While it takes a special kind of person to excel at remote work (if I do say so myself), it takes even more discipline and passion for your craft to dedicate yourself to a foreign company and to a team with whom you seldom interface. For that reason, it's critical to hire mindfully, stay aware of the particular challenges your most remote workers face, and do what you can to help them feel connected with the team at large.